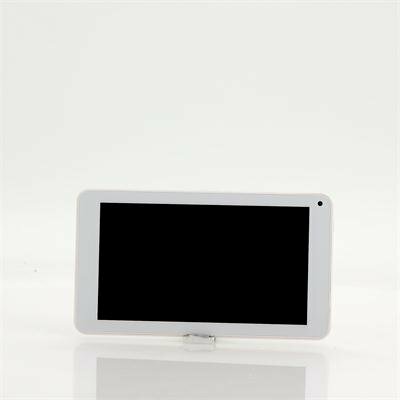 Successfully Added 7 Inch Android Tablet PC - 800x480 Display, Actions ATM7021 ARM Cortex-A9 Dual Core CPU, Android 4.4 OS to your Shopping Cart. Here’s your chance to really get the most for your money. This Android 4.4 tablet PC comes with a brilliant 7 inch screen that is currently the most popular screen size as it combines practicality with portable convenience. 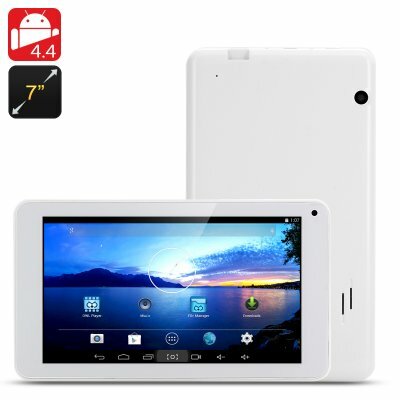 With the sharp 800x480 pixel display that this tablet offers, you can perform daily multi-tasking such as checking your emails, reading the latest news online and playing your favorite games downloaded from the pre-installed wealthy Google Play app store. But that's not everything as this tablet has front and rear cameras that lets you capture your moments in either image format or HD quality video. Once you have captured or record the moment, you can then save it on the 4 GB of internal memory. If 4GB of internal storage is not enough then you can expand it by inserting a micro SD card into the allocated slot that this dual core tablet offers. Android 4.4 has many new improvements as it streamlines every major component to reduce memory use and introduces new APIs and tools to help you create innovative, responsive, memory-efficient applications. Now you can print photos, documents, and web pages from this tablet by connecting to Google Cloud Print, to HP ePrint printers, and to other printers that have apps in the Google Play Store. This all comes at a price that is simply too good to be true, but Chinavasion makes it happen due to our factory direct sourcing. Grab one now for your personal use or start selling on eBay at high profit margins. All products are in stock and will be shipped within 1 working day. Brought to you by the leader in electronic devices and wholesale gadgets, Chinavasion. bad resolution screen and the SOUND of NO is minimal intensity.